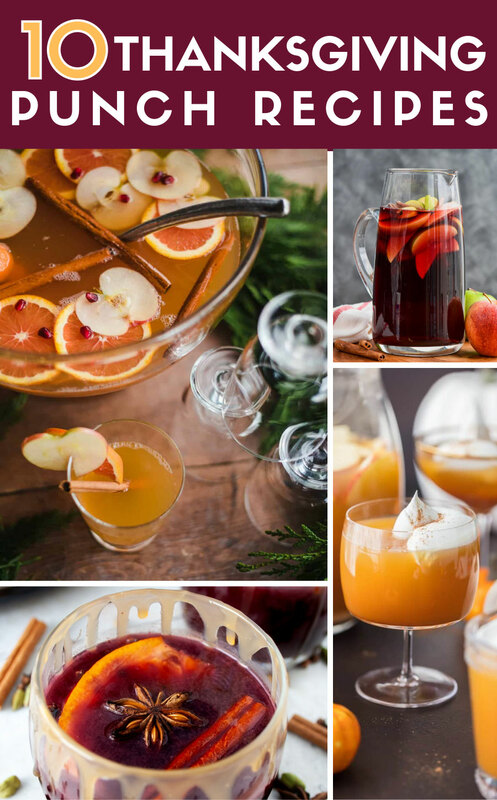 10 Thanksgiving cocktails to serve a crowd from Thanksgiving sangria to sparkling holiday punches. Tomorrow is Thanksgiving Day and if you’re like me the mile long list of things to do is growing. Along with a lot of questions about what and how to cook Thanksgiving Dinner. Should it be dressing or stuffing? Brine the turkey or not? Mashed potatoes or sweet potatoes or both? 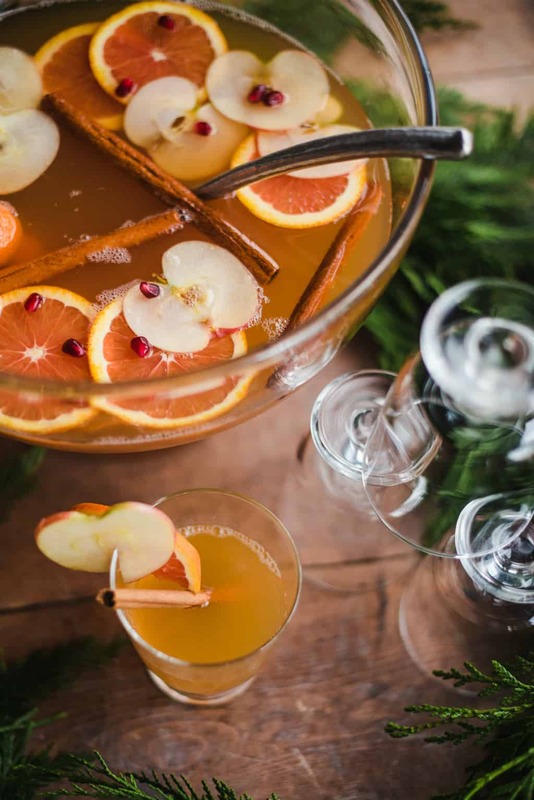 To make it a little easier, I’ve combined together the best 10 Thanksgiving Punch recipes that can entertain your crowd. 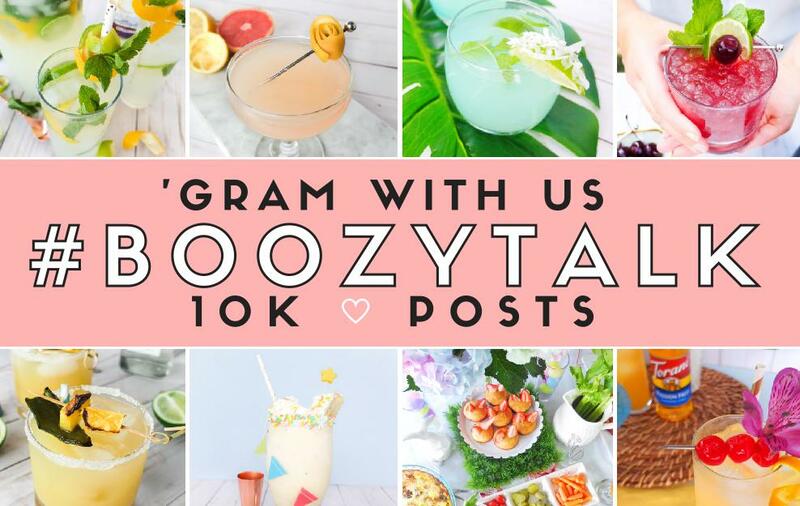 From Thanksgiving mocktails to fall cider punches let your bar cart do some heavy lifting while you tackle the bigger things. 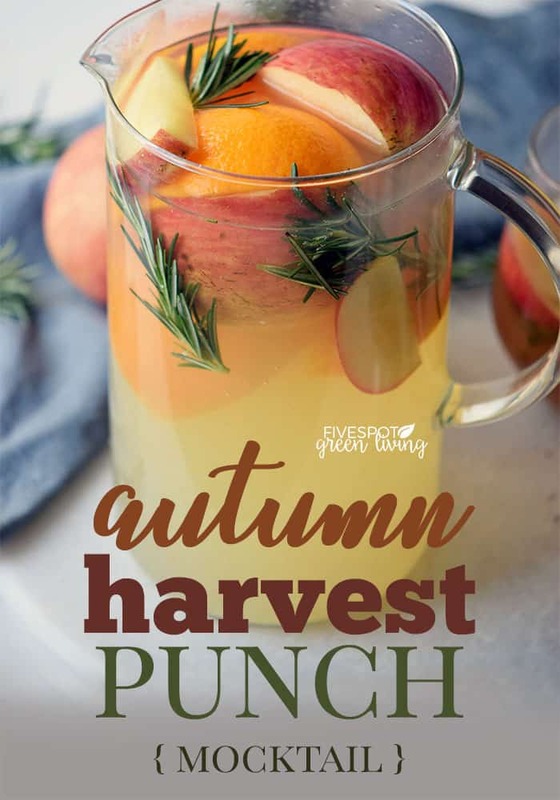 Let this Autumn Harvest Punch Mocktail take center stage with it’s family friendly feel. Notes of peaches, rosemary, and orange are delightfully light for Thanksgiving sipping. 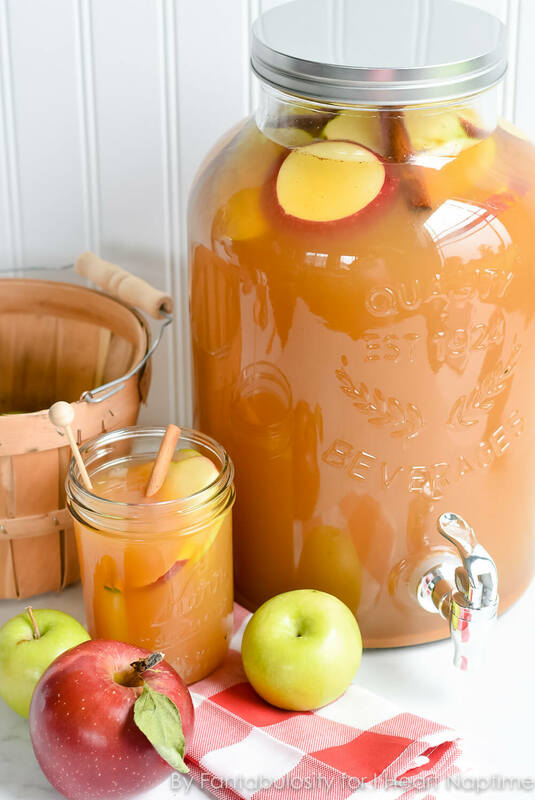 Apple Cider turns into a Thanksgiving Punch that will have guest asking for doubles of! Chillin Thanksgiving Day? 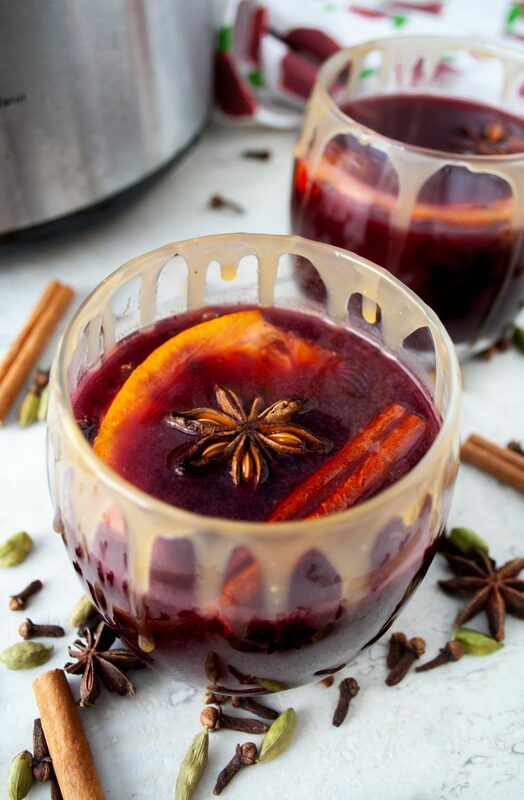 Warm up your guest as they arrive with warm Caramel Apple Mulled Wine. Let the slow cooker do the heavy lifting in this recipe while the stove is in full work mode. One of my favorite liqueurs during the holidays is Amaretto. It’s almond notes are delightful against it’s sweet taste. 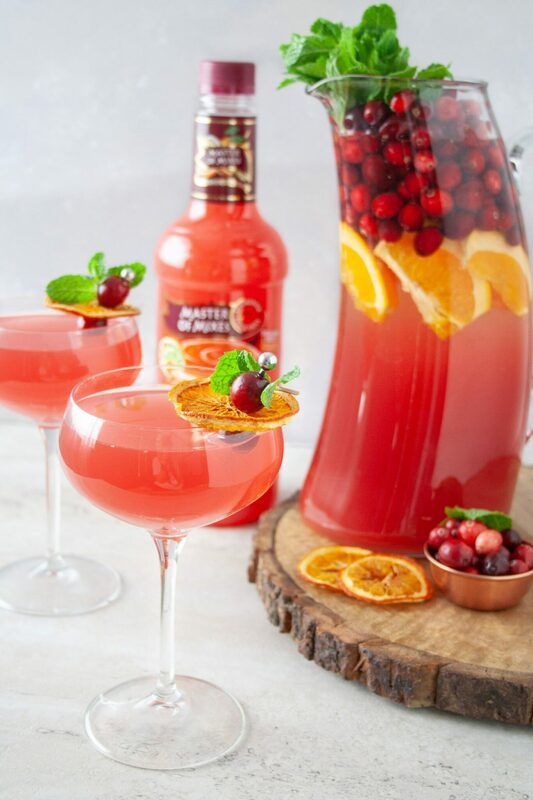 Try it in this classic cocktail turned punch form. Ready to wow Thanksgiving with a last minute recipe? 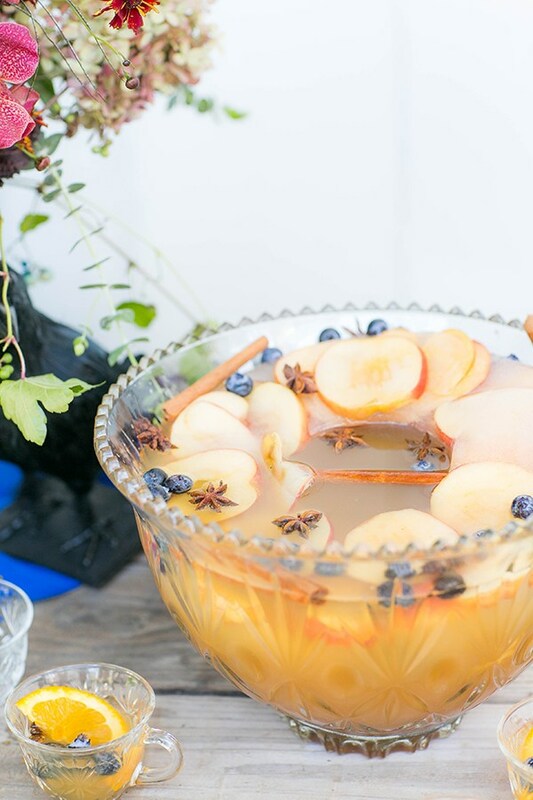 This Apple Cider Punch is as beautiful as it is tasty. 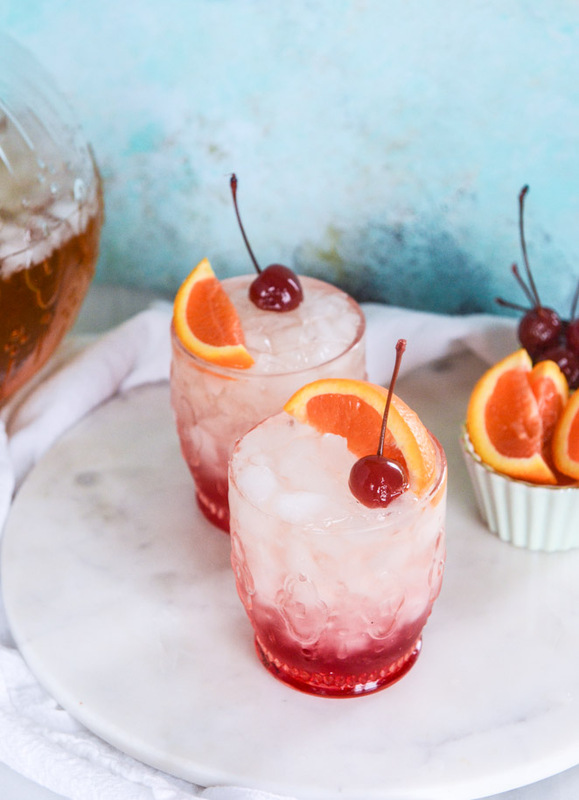 Keep things light with this tart and bubbly sparkling punch. Break up a heavy meal with this cocktail that would be perfect for in between the main course and dessert. 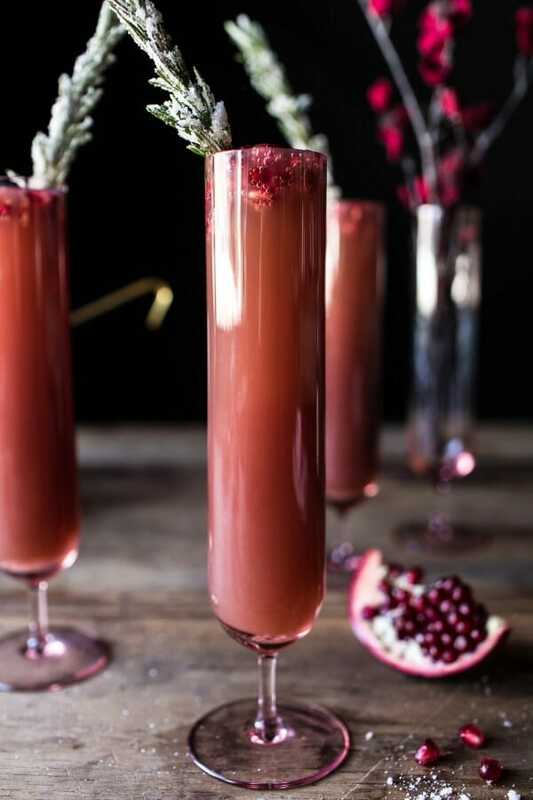 Gin, blood orange, and cranberry come together for a refreshingly light and crisp Thanksgiving Day cocktail. 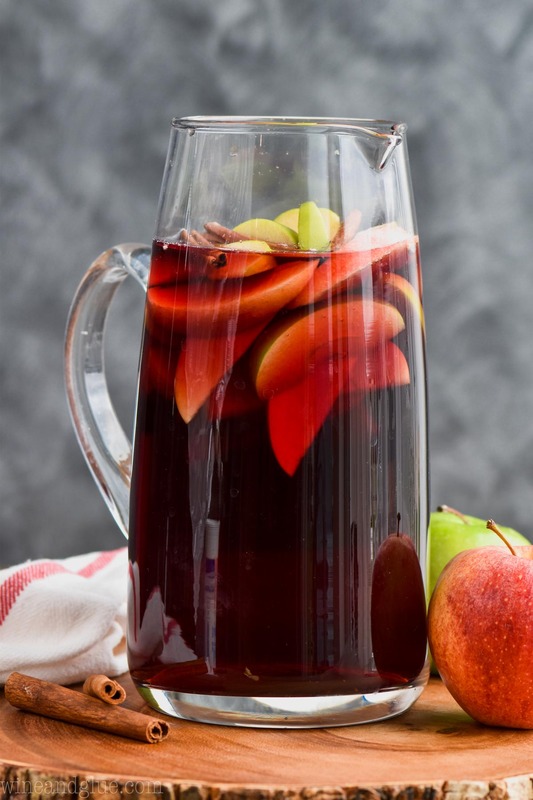 Fireball fans will love this classier take on serving the infamous take on sangria. Why bake pumpkin pie when you can drink it? 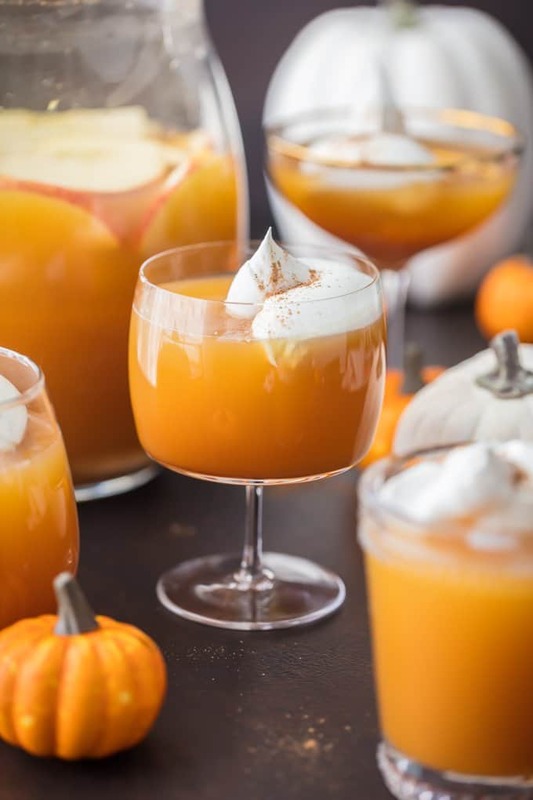 This fun and unique recipe brings together the flavors of pumpkin pie in liquid form and is even served with that classic whip cream topping. We often don’t think pineapple when it comes to Thanksgiving but it pairs well with hearty foods. 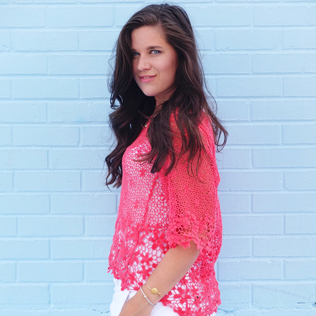 Refresh those palettes with this bright and simi-tropical punch. We here at Elle Talk are wishing you the a Happy Thanksgiving. We hope you are surrounded by the people you love with good food and good drink.